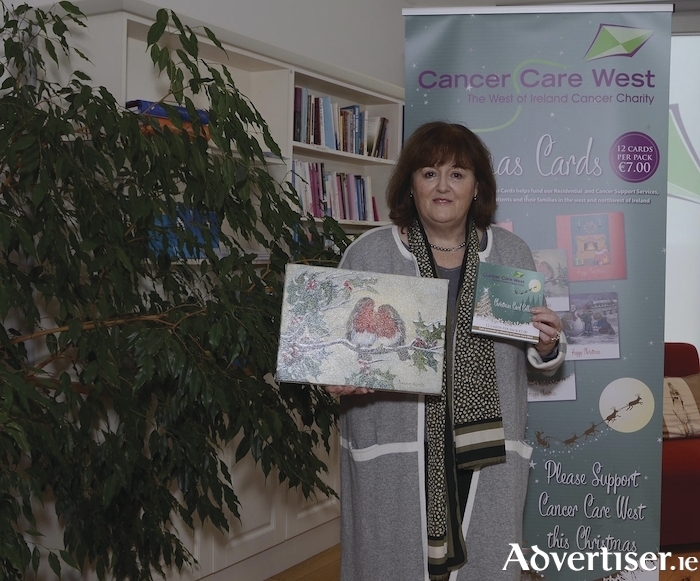 Double up on the positive effects of sending Christmas Cards this year by supporting west of Ireland Charity, Cancer Care West. Cancer Care West’s 2017 Christmas card collection are now available to purchase online or in store. Local artist, Bernie Keogh designed and painted two of the six cards included in the collection. Bernie has generously donated her paintings as cards to Cancer Care West for the past 16 years. Supporting Cancer Care West’s 2017 Christmas Card Campaign will help fund their Residential and Cancer Support Services, providing support to cancer patients and their families in the west and northwest of Ireland. Each pack includes 12 cards, retailing at €7 per pack. To purchase, please log onto www.cancercarewest.ie/christmas-cards/, they are also available to buy in all good retailers throughout Galway and the west of Ireland. Page generated in 0.2110 seconds.